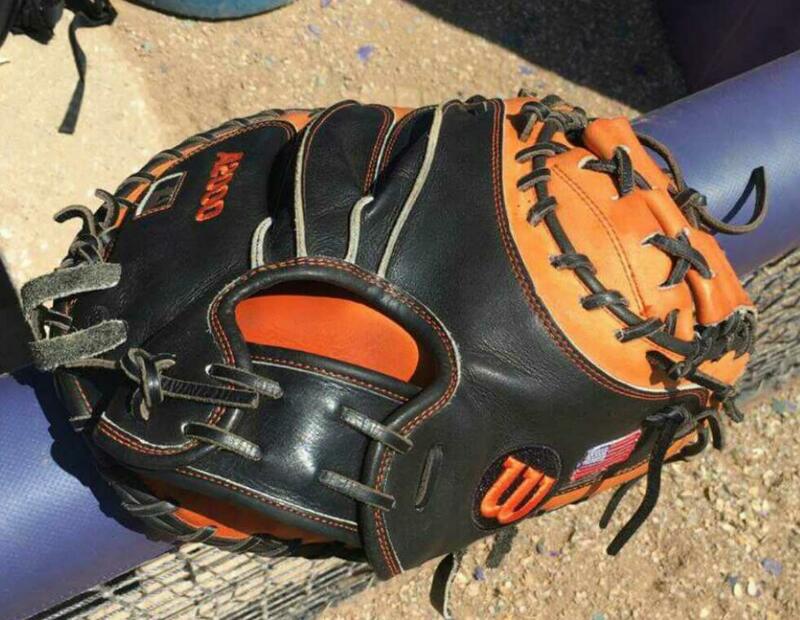 We wanted to get you up close at the CWS, but NCAA wouldn’t let WPW cover College World Series games. Disappointing, so instead we just hit up the players for a look at the gear. 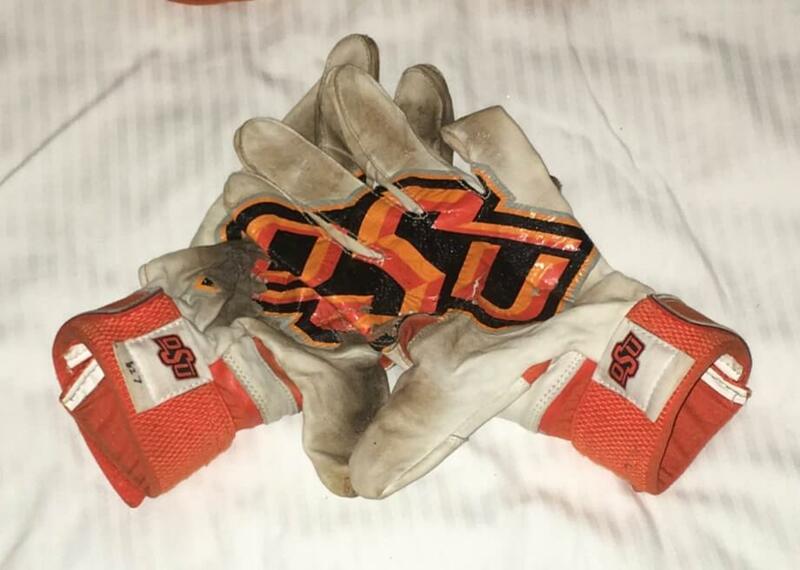 A few Oklahoma State dirtdogs, unbeaten and currently battling Arizona on ESPN2, were happy to oblige. 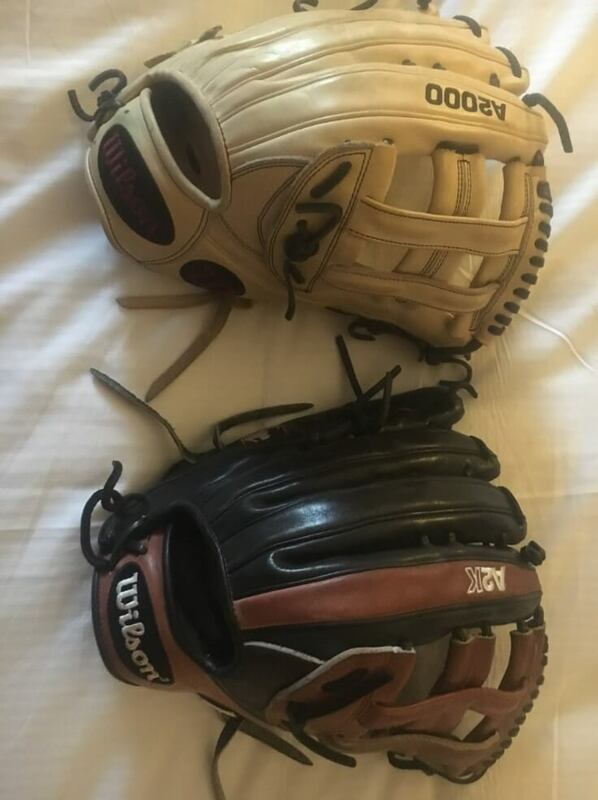 Sophomore LF Jon Littell (@jlittell13) sent through a look at his spread (above), which is pretty much bulletproof. 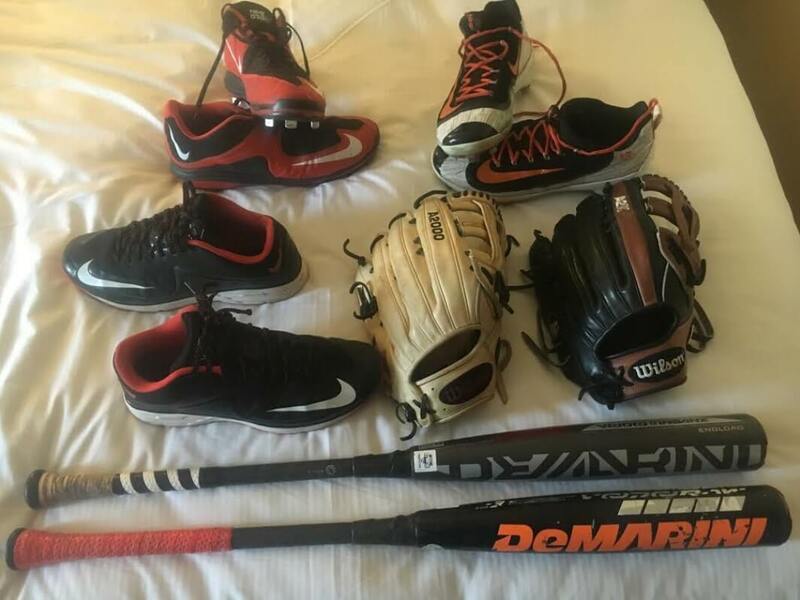 Nike MVP Elite 3/4 2 cleats and Lunar MVP Pregame 2 turfs, NIKEiD Air Huarache 2K Filth cleats, an A2000 and an A2K 1799 combo, plus the new DeMarini CF Insane and last year’s Voodoo Raw. 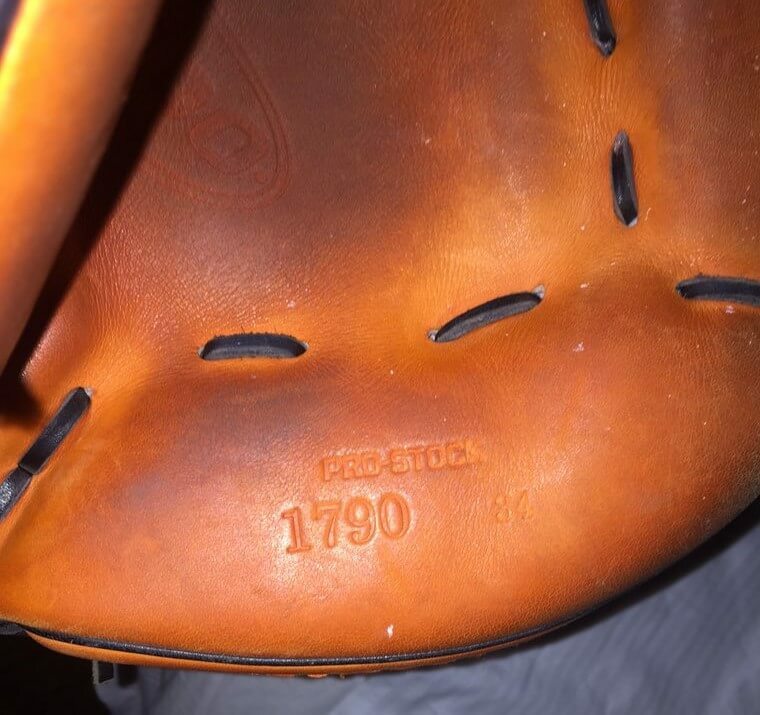 The 1799 combo is mean. 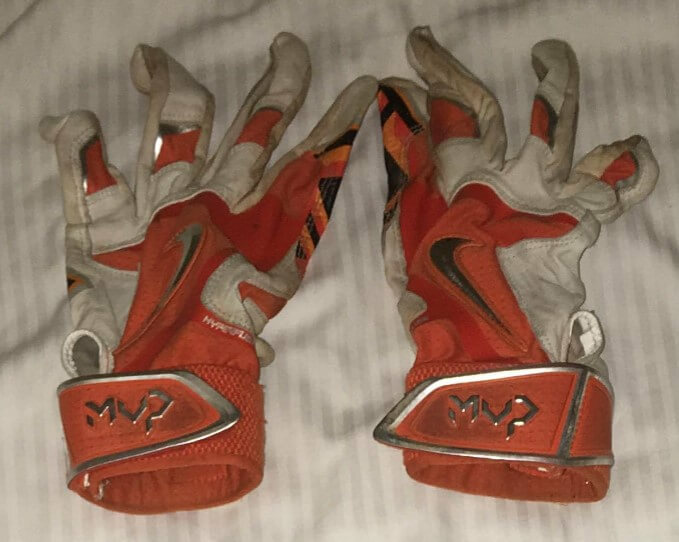 Nike MVP Elite Pro batting gloves from team HR leader, Junior 1B Dustin Williams (@dustin_williams22). 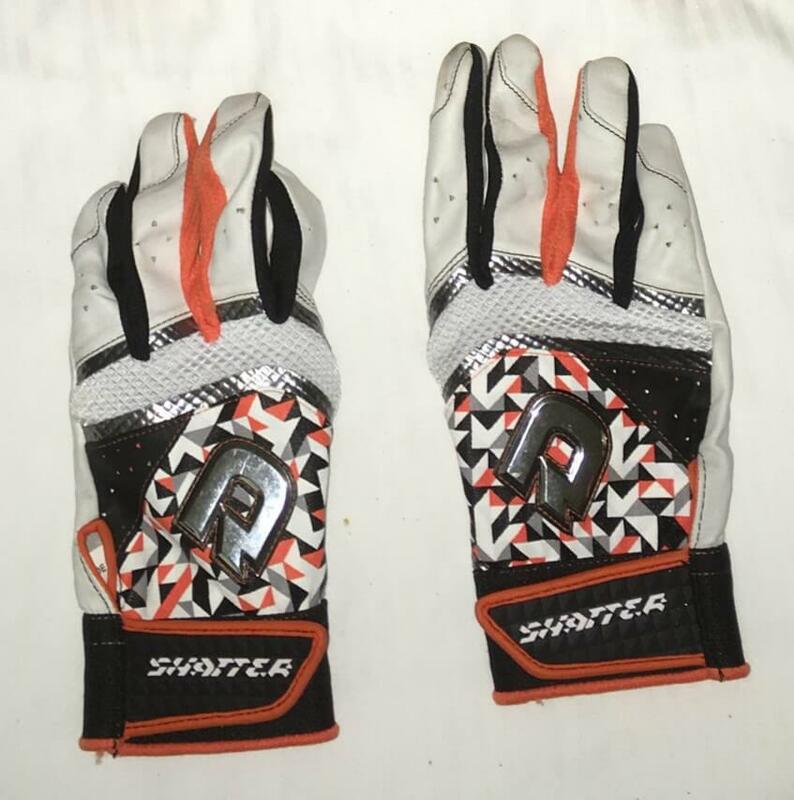 These DeMarini gloves are nice though I couldn’t find anything that looked similar online. Dustin Williams’ iDs. 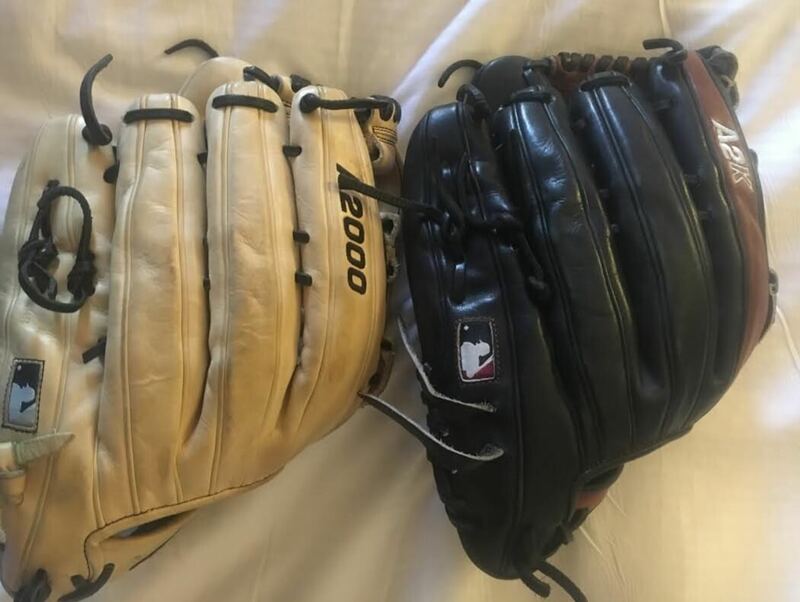 Clean enough for the hotel sheets. Williams’ EvoSwag. 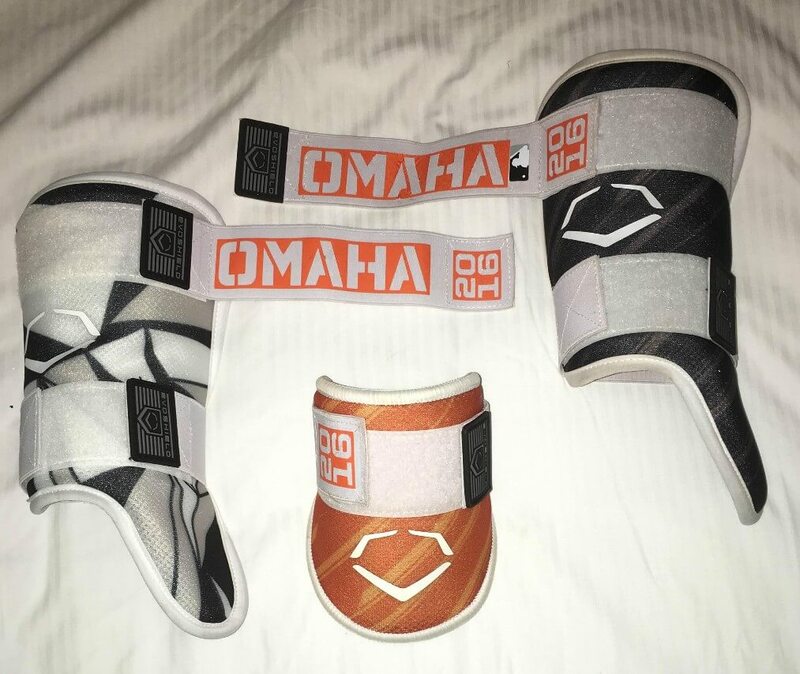 From left to right, EvoGeo leg guard, SpeedStripe elbow/leg guard. 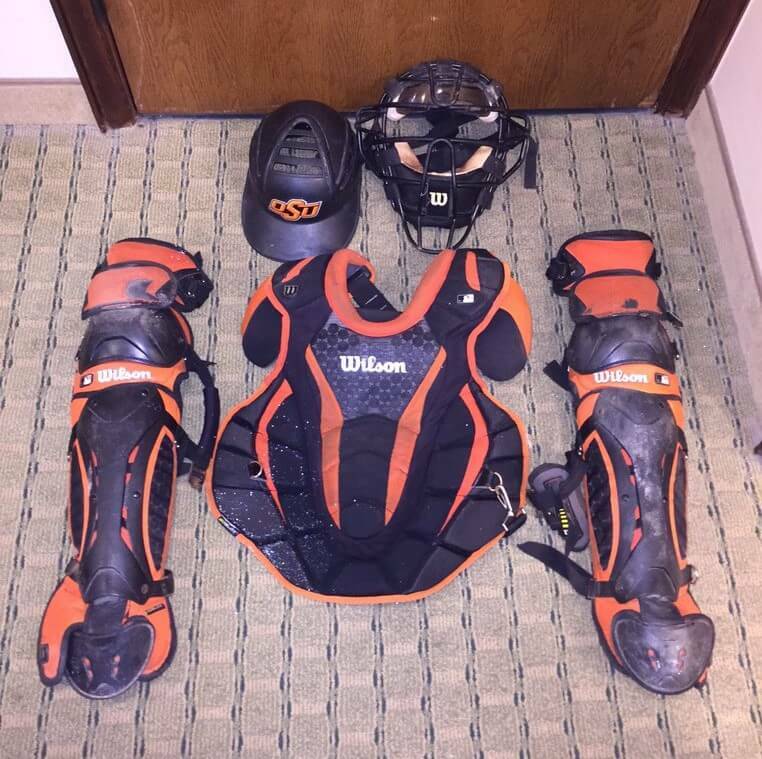 Junior backstop Collin Theroux (@yosoycollin) sent through a great look at his Wilson gear, including the ProMotion leg guards, ProMotion chest protector, and Dyna-Lite Leather mask. 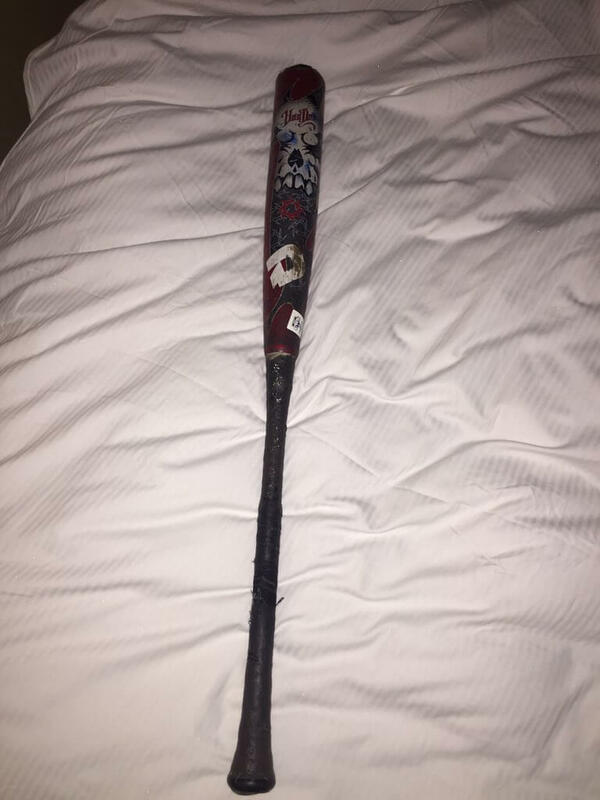 Theroux told us he prefers this DeMarini Voodoo best, which is actually from 2013. 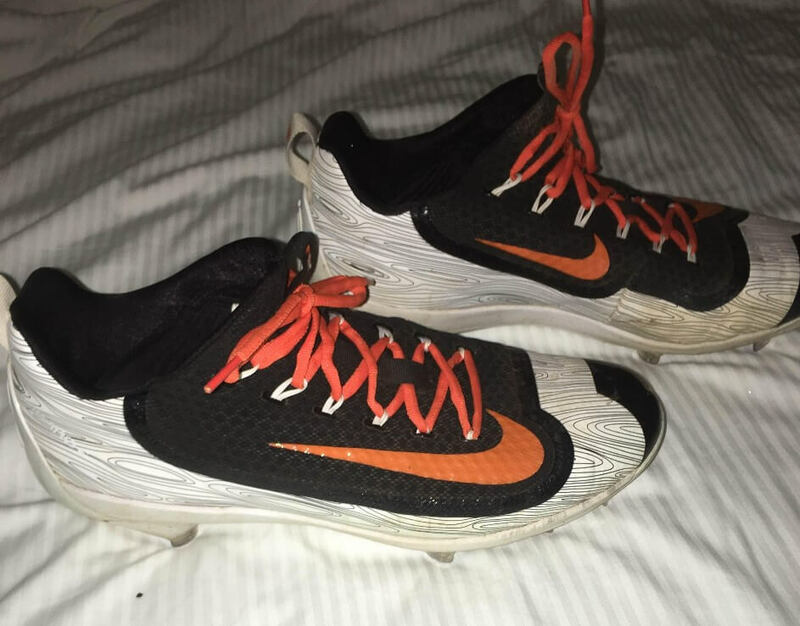 You may find it on eBay. 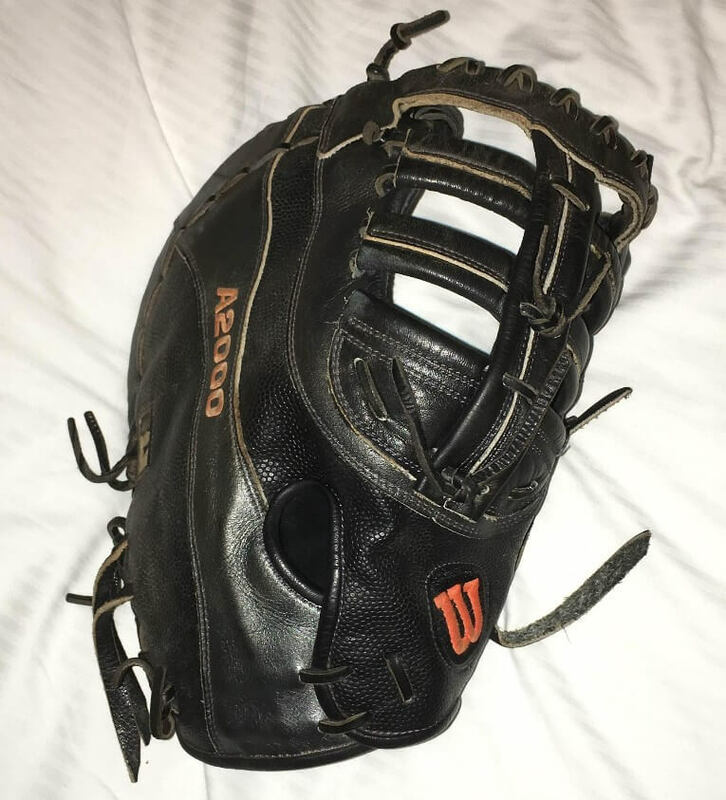 Theroux’s Wilson A2000 1790 34″. You can customize it just like Theroux’s here. 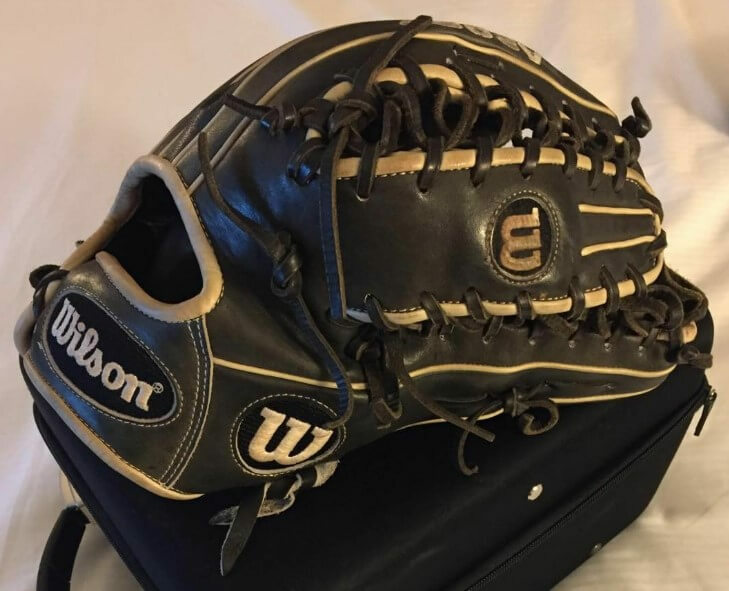 Senior RF and total base leader Corey Hassel (@coreyh28) sent through a beauty shot of his well-worn Wilson A2000 OT6. 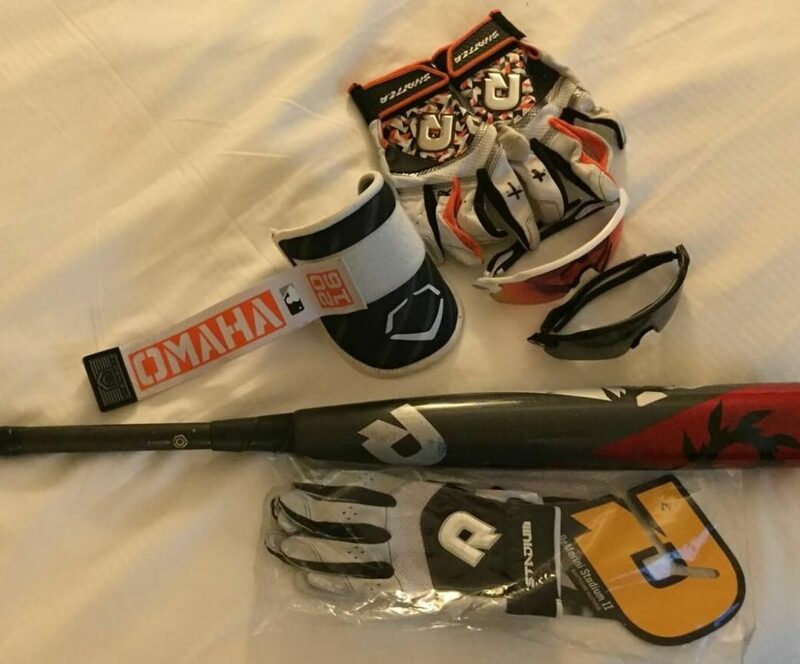 Hassel’s DeMarini metal (not sure which one that is) and Oakley options. Thanks to the Cowboys for sending these through.